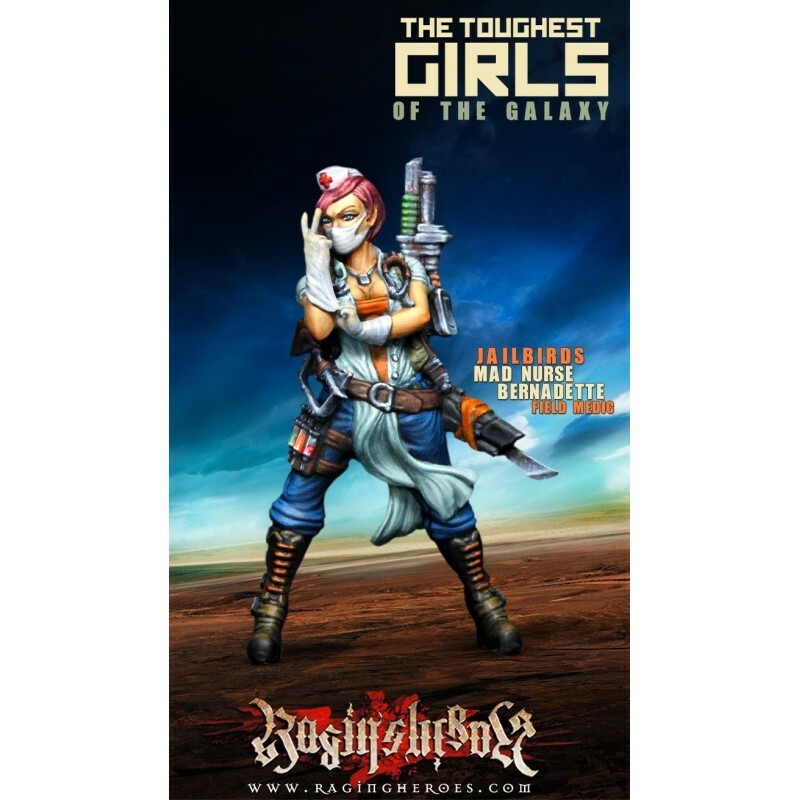 The Toughest Girls of the Galaxy, Jailbirds. Caja con una miniatura de Mad Nurse Bernadette, para montar y pintar. 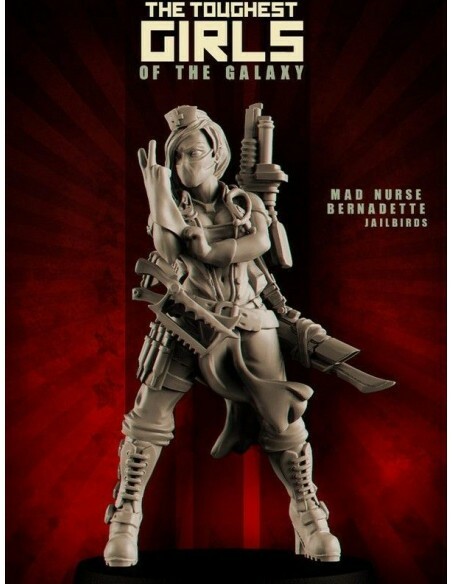 Contenido: Figura de Mad Nurse Bernadette, base de 25mm. 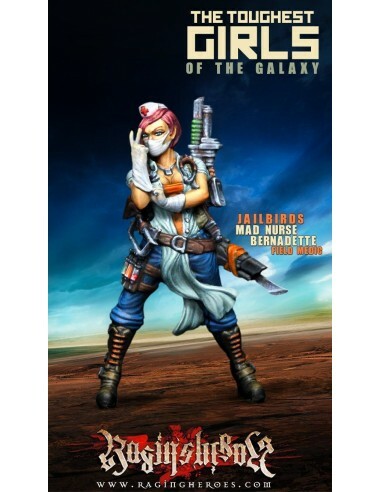 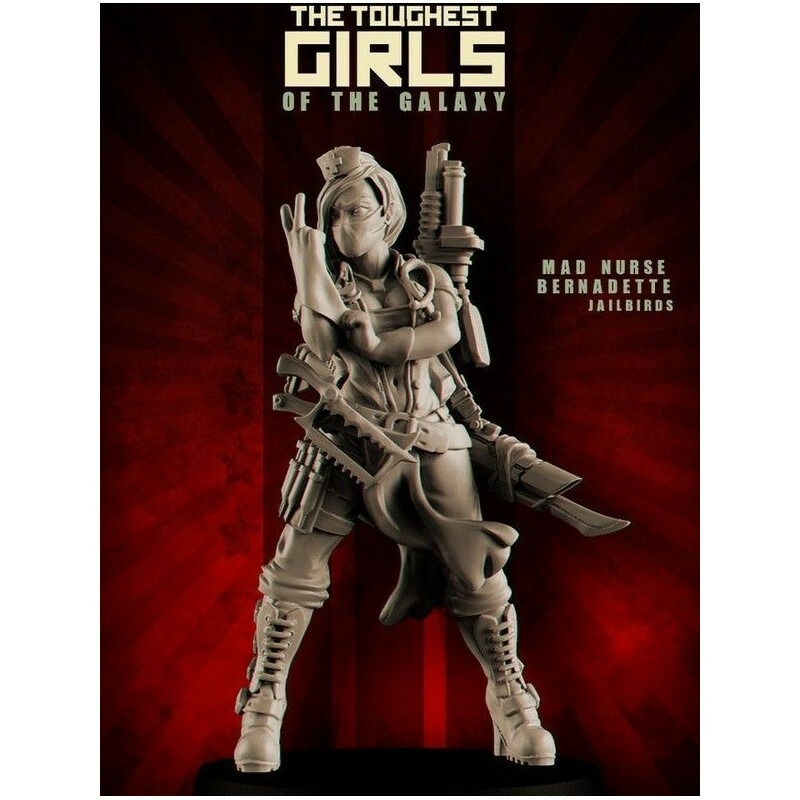 Figura de la serie The Toughest Girls of the Galaxy.